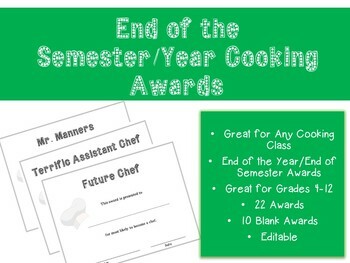 End of the Semester/Year Cooking Awards.” You will find 19 awards and 10 awards that are editable. 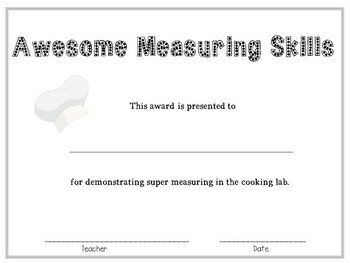 This a great way to end the semester or school year in your cooking class. Giving these awards to students is a great way to show growth throughout the semester/year.